Wow it is warm in London! Talking of warm weather, a number of people have asked for advice on travelling to the Amalfi Coast, after the posts I wrote about going there a few weeks ago. 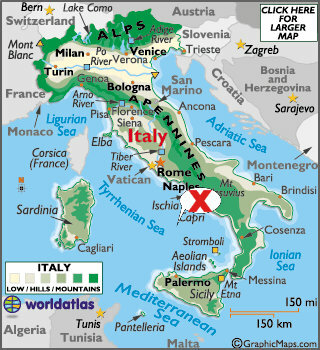 The Amalfi Coast is situated at the X on this map of Italy. If you are flying in, then Naples is the easiest place to fly into, and if you are catching a train to the area, that's where you will be likely to come into to too. We stayed in Naples in 2008, when backpacking around Europe, and it was certainly our least favourite city in our two months adventure. Our taxi driver from Naples to the Amalfi Coast this year, said that many Italians are wary of visiting Naples, as crime is rife there. When we stayed there in 2008, we used it as a base to get to Capri from and to get to see Pompei and Mt Vesuvius. This tine we did that from the Amalfi Coast just as easily. It seems that Naples is best avoided, other than for major transport links. We caught the train to Naples from Bologna, and then we caught a taxi transfer from Naples to Positano. This cost 120 euros for the 4 of us with our luggage and took about and hour and 15 minutes. The reviews online said that if you are a group of 4 or more, then it's worth taking a taxi as the train fare would have been similar. We used Rainbow Limos and I couldn't recommend them more. Corresponding with them from here was so easy and our driver gave us loads of interesting information about the area and it's history on our drive. 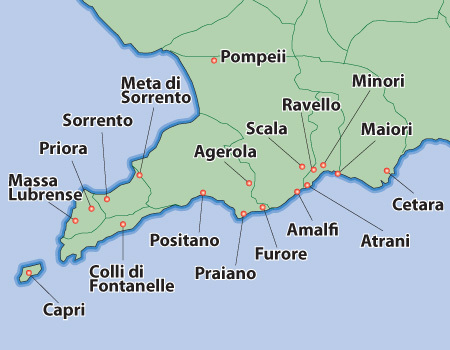 There are also train and bus options available from Naples to the Almafi Coast. An aside, the drive along the coastline can be a little hairy! the road hugs the cliff edge at times, and an abundance of motorcycles and cars going in every direction! I would be terrified driving there myself, and you really don't need a car for exploring the area. We started in Positano for 2 nights. Then caught the ferry across to Capri Island for a night. And then we caught the ferry to Sorrento for 2 nights. And then caught the bus from Sorrento to Naples Airport. We loved all these places, but in hindsight, I would have started in Sorrento, then gone to Capri, and then to Positano. Just because Sorrento is far more of a bustling city, and it would have been nicer to end in pretty little Positano. We stayed in Amalfi in 2008, but I would recommend Positano and Sorrento over Amalfi. We stayed at Casa Teresa. Well we actually ended up staying in the next door hotels rooms, as they were full, but it was very relaxed and the rooms were stunning. In the mornings we wondered down a few narrow passages for breakfast on the Casa Teresa balcony. It was perfectly situated and I loved the patterned tiles on the floors and the furniture in the rooms. The lady who runs it doesn't speak much English, but is wonderful. I would really recommend Casa Teresa. I am SO glad that we decided to splash out a little and stay the night on the island, rather than being one of the hundreds of tourists who arrive by ferry just for the day. Capri was my favourite I think. We stayed at Hotel San Felice, in Capri town, and it was great. There aren't many hotels on the beach (or that we could afford anyway), and so the pool was a bonus at the hotel. We so enjoyed going up the cable car in Ana Capri though, so maybe investigate some hotels near there if you are going to Capri. We caught taxi's up and down the rather steep hill between the port and the Capri town which sits at the top when we had our luggage with us, and caught the tram/cablecar thing when we didn't have our bags. You have to do a boat trip around the island and to the Blue Grotto. And you absolutely have to go up the cable car in Ana Capri. We caught the bus to Ana Capri from Capri town. Sorrento, as I said above is much more of a city than Positano and Capri, but lovely too. We stayed at Magi House, which didn't have the same character or quaintness in the rooms, but was pleasantly modern and clean, and very well situated for all we wanted to do. The staff however at Magi House made our stay extra special. Roberta at the front desk even played a key part in Adrian popping the question to Jen at breakfast! We hired a boat in the bay and cruised along the coastline, stopping to swim and admire the view. 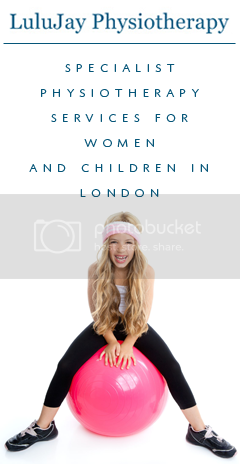 I would really recommend this too! You could even go all the way to Capri yourselves in your own hired boat too if you wanted to do a day trip there instead of staying there. From Sorrento, one day we caught the train to visit Pompeii, the city that was wiped out by Mt Vesuvius erupting in 79AD. It is incredible to walk around the ruins of the city, that was first begun to be uncovered in 1599, and is still being uncovered today from beneath the ash that covered it. I learned about Mt Vesuvius and Pompeii when I was 10 years old, and was fascinated by the story! I have visited the Pompeii ruins twice now and would really recommend doing it with a live guide, even though it costs a little more than the audio guide as you get so much more out of the tour. In 2008, we braved the walk up Mt Vesuvius. It was a very long and hot walk up the still active volcano, and to be honest there isn't that much to see when you get to the top-but I am so glad to have done it myself.This year, it was just SO hot! And the others didn't remember being as taken with the whole story as I was when I was younger so happily gave it a miss. It was really hot whilst we were there, and we were there in mid June. There were quite a few mosquitoes around then, if you are prone to being eaten alive, take some insect spray. You will eat a lot of Pizza, Pasta, Caprese Salads and Ice Cream. With lots of mozarella and parma ham. And you will also drink a lot of ice cold water, and prosecco. Have a great trip if you are heading there on holiday and let me know if you are reading this and have any other recommendations!